In March 1789, 95 representatives from 11 sovereign States and two foreign countries (North Carolina and Rhode Island had not ratified the Constitution) gathered in New York City at Federal Hall to invent the United States of America, from the 4,543 words of the Constitution. Yet, they achieved compromise across great ideological divides, successfully designing a system of governance that still guides us today. Perhaps their crowning achievement came a mere six months after convening, when they passed legislation establishing the two cornerstones of American democracy — the federal judiciary and the Bill of Rights. Among other notable acts of this first U.S. Congress were: creating the Supreme Court as well as departments of State, War and Treasury; establishing a financial system; funding the near penniless government through duties and tariffs; and declaring a permanent location for the capital on the Potomac. 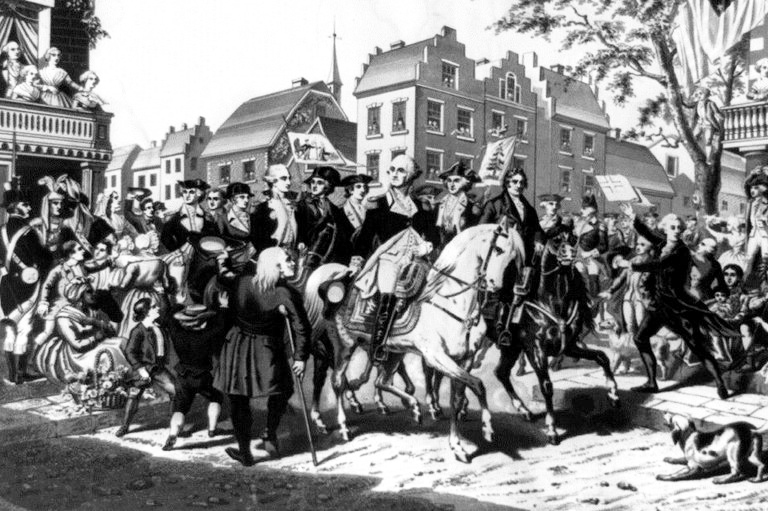 These sessions of the first U.S. Congress (two in New York and one in Philadelphia) are considered the most momentous in American history. Had they failed, our country as we know it would not exist.